Toyota's Mirai sedan is the world's first mass-market fuel cell electric vehicle. Quebec City’s first hydrogen refuelling station is expected to be fully operational by the spring of 2019 -- a move Toyota Canada says will boost sales of its fuel cell Mirai. While the entire station might not be fully operational by the end of 2018, the pilot project will at least allow the Government of Québec to start using its first fleet of 50 Toyota Mirai fuel cell electric vehicles on the roads of the province toward the end of this year. Toyota Canada and Transition énergétique Quebec in September 2017 announced a memorandum of understanding to study the market requirements for hydrogen infrastructure. Transition Energetique Quebec was established by Quebec's Ministry of Energy to promote energy transition, innovation and efficiency in the province. “Hydrogen must be seen as a subject of interest for the next steps of transportation electrification in an energy transition context. To implement efficient measures tomorrow, we must take an interest in it today,” Quebec Minister of Energy and Natural Resources Pierre Moreau said in a statement. 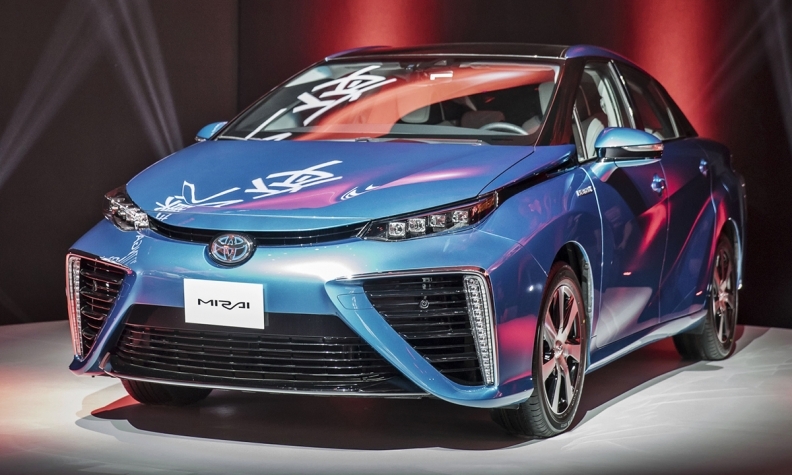 Toyota is heavily invested in its fuel cell vehicle technology because hydrogen-powered cars, like the Mirai, have superior driving ranges and can be tanked up in three minutes, rather than the hours it takes to charge battery-electric vehicles. While most electric vehicles have limited range, making them most suitable for urban travel, the Mirai can travel 500 kilometres on a single tank that is quickly filled and can operate in the coldest conditions. By contrast, most EV recharging is done at home overnight, and even the fastest charges take 30 minutes or more. The Mirai isn’t available for public purchase in Canada yet, and the selling price hasn’t been announced. Instead, it’s been made available to governments and small, select fleets in Quebec. In California, they sell for US$57,000 minus rebates, and include a three-year supply of hydrogen. The station will be equipped with an electrolyzer, allowing on-site production of clean hydrogen by electrolysis of water, a process based entirely on electricity. It will be owned by Harnois Groupe, which owns 400 service stations across Quebec. “We believe it is important for Québec companies like ours to give access to a diversified energy portfolio,” Harnois Groupe CEO Serge Harnois said in a statement. The project will cost $5.2 million, but will benefit from $2.9 million in government financial assistance through Transition énergétique Québec. “Our intention is to develop a diversified supply of clean energy,” Transition énergétique Québec CEO Johanne Gélinas said in a statement.